Duke University Medicine is in the midst of a building boom that will transform the medical campus and bring together world-class care, research, and education like never before. 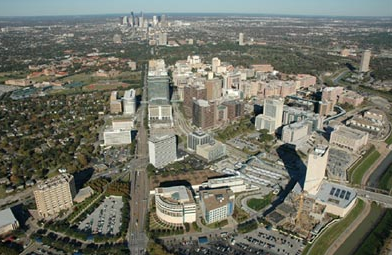 The $235M Cancer Center is scheduled to open on February 27, 2012. The Duke Cancer Institute (DCI) is one of only 40 centers in the country designated by the National Cancer Institute as a “comprehensive cancer center,” combining cutting-edge research with compassionate care. The other buildings currently under construction are the Duke Medicine Pavilion (mid-2013) and the Learning Center (late 2012) which collectively represent an $880M investment in the Duke Medicine campus.